Secret Saviours Review - First Impressions. | Then there were three.. 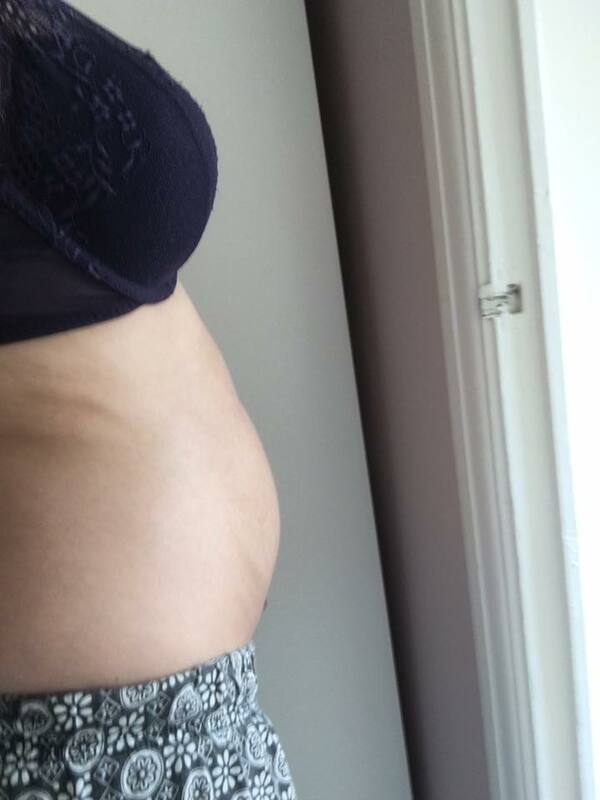 I was extremely lucky in that I did not encounter any stretch marks during my first pregnancy. Whilst stretch marks are certainly not the be all and end all, I did not want to take any chances this time round. A few weeks ago I was contacted by Secret Saviours to see if I would like to try out their 'Stretch Mark Prevention Kit'; of course I couldn't say no! Especially after researching their clinical evidence; they found that, in a clinical trial, 70 per cent of the women who used the kit correctly did not get stretch marks! The kit contains three essential items; the anti stretch mark band, the day gel and a night cream. At first glance, the band itself looks like your standard bump band, however then you notice the pads on the inside of the band. 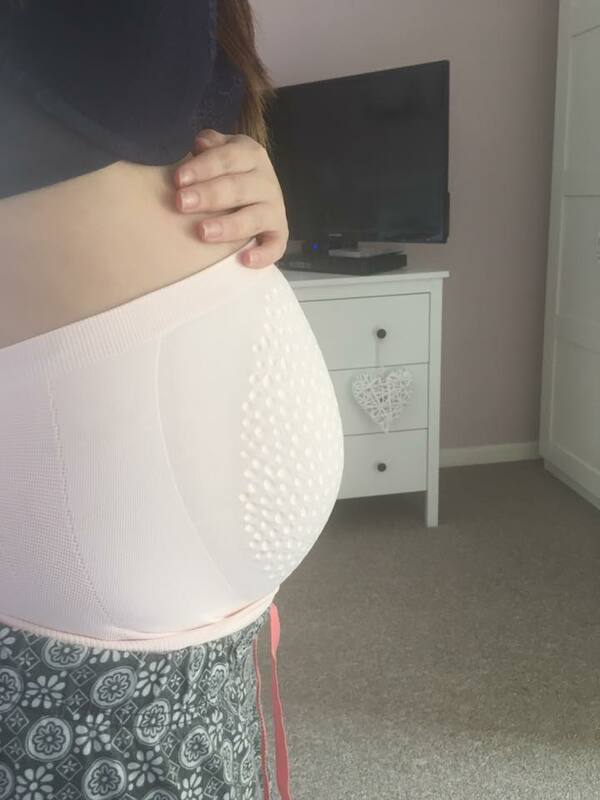 These are the main stretch mark combater; the pads vary in size and are arranged in a random pattern. This arrangement is created to deplete strains and stresses to the skin, thus making it harder for any tears to spread. The day gel is formulated to be used with the band itself - it helps to prep the skin to grip the pads on the band more effectively. It also contains ingredients, such as Centella Asiatica, which is known to boost collagen content and skin strength; just want is needed to avoid stretch marks! I used around 2 to 3 pumps of the day gel and massaged over my bump in a circular motion as what was advised. 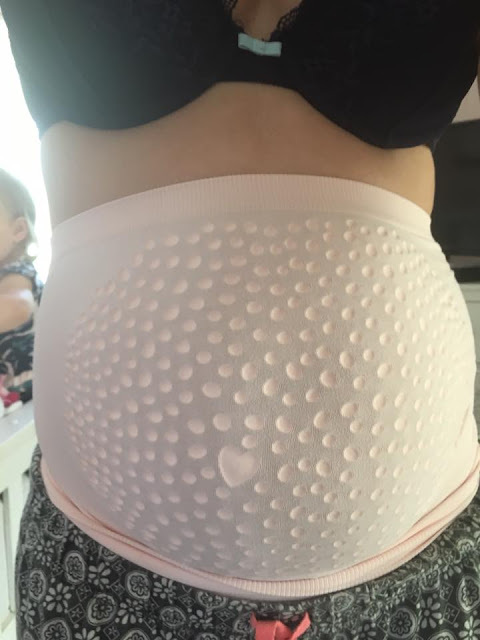 Once my skin felt a little bit tacky I stepped into the bump band, with the pads facing inwards, and placed it over my bump so that it was comfortable. You can keep applying the day gel throughout the day, as little or as often as you need to. The final item is the night cream - this one is by far my favourite as it smells heavenly! This is, of course, used at night once your bump band is off. Once massaged into your skin you literally feel like a giant babies bottom; smooth and supple. When I first started using the kit I was 18 weeks pregnant and am now 21 weeks so I do still have a way to go. Here are my first bump shots without and with the band so that you can see the progress for yourselves. I'm hoping to document the process and update you each month on my progress. I will say, so far I have found the system fantastic and relatively easy to use; I'm usually fairly lazy with these sorts of things. The band too is also very comfortable and has also helped support my back too which I definitely needed this time round! If you want to look into this further or even purchase a kit for yourself, check them out here. I will let you all know how I am getting on in a few weeks! *Disclaimer* I was sent the Secret Saviours Stretch Mark Prevention Kit to trial and review. All opinions and views are my own.